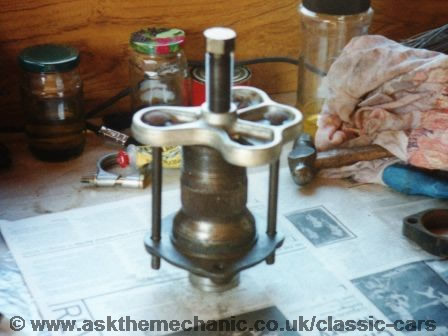 I think I have been lucky but I have always managed to remove my rear hubs using a Mini/Metro flywheel puller, its a 4 hole Sykes Pickavant No 085101, see picture. Some only have 3 holes and would not work. 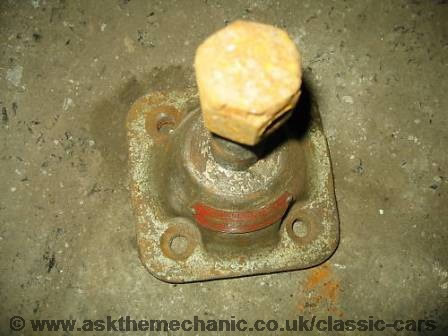 The correct Rootes Group service tool is RG188A made by VL Churchill, see picture. I think the easiest way to remove them if seized, is to remove the half shafts complete with brake back-plates etc. and have them pressed off using a hydraulic press at the local machine shop. You may need a slide hammer if the bearings are tight in axle casting.